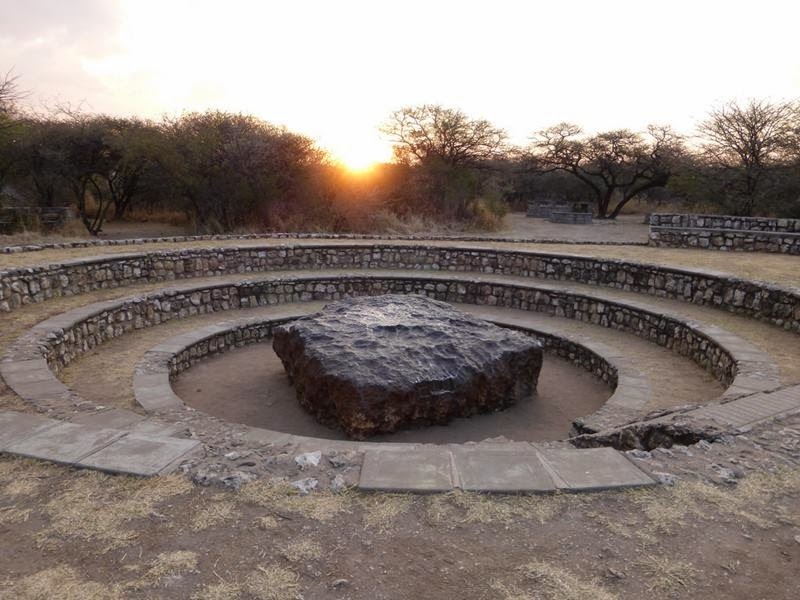 The Hoba meteorite has this name because it is lies on the farm "Hoba West" not far from Grootfontein, in the Otjozondjupa Region of Namibia. It has been uncovered but, because of its large mass, has never been moved from where it fell. 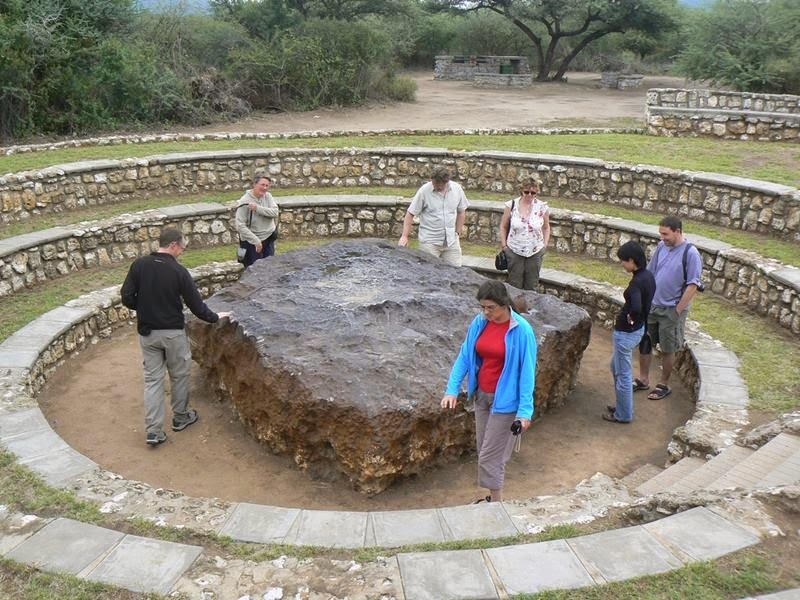 The main mass is estimated at more than 60 tonnes, making it the largest known meteorite "as a single piece" and the most massive naturally occurring piece of iron known at the Earth's surface. 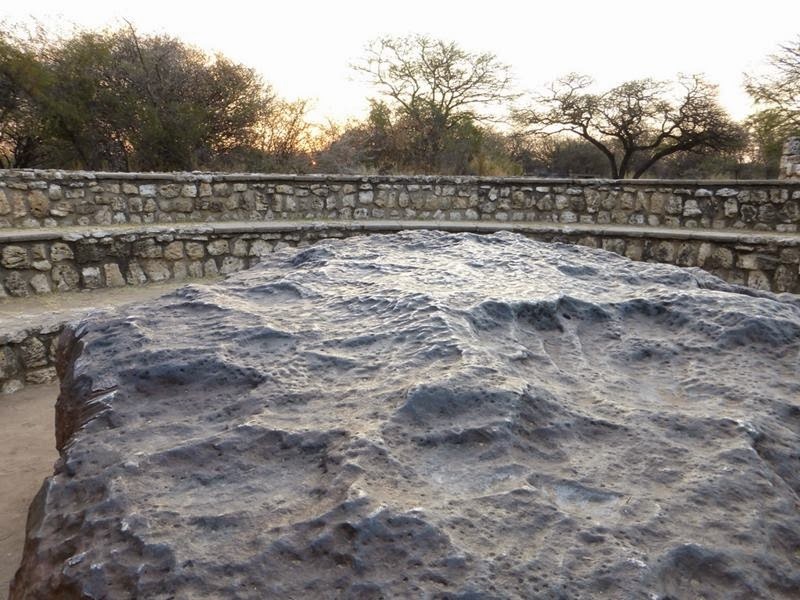 The Hoba meteorite is thought to have fallen more recently than 80,000 years ago. It is inferred that the Earth's atmosphere slowed the object to the point that it fell to the surface at terminal velocity, thereby remaining intact and causing little excavation. 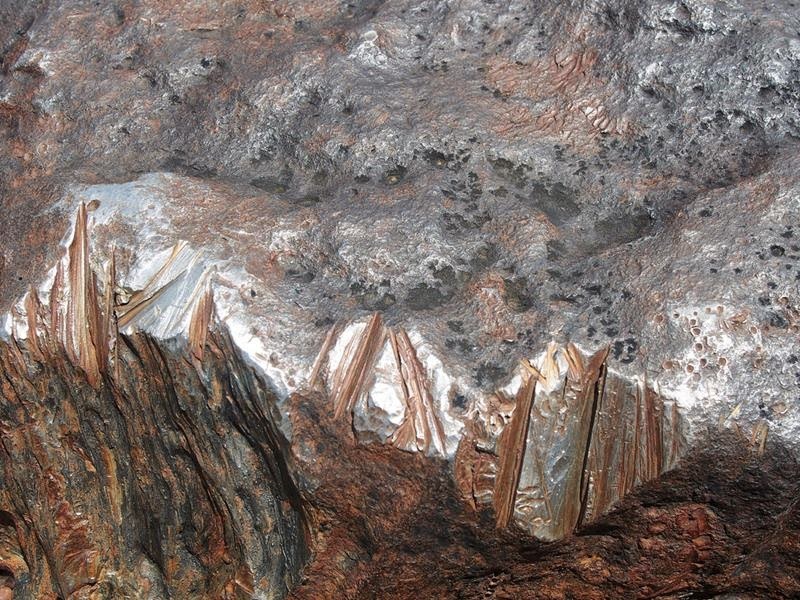 Hoba is a tabloid body of metal, measuring 2.7×2.7×0.9 meters. The meteorite is composed of about 84% iron and 16% nickel and 0.76% cobalt. 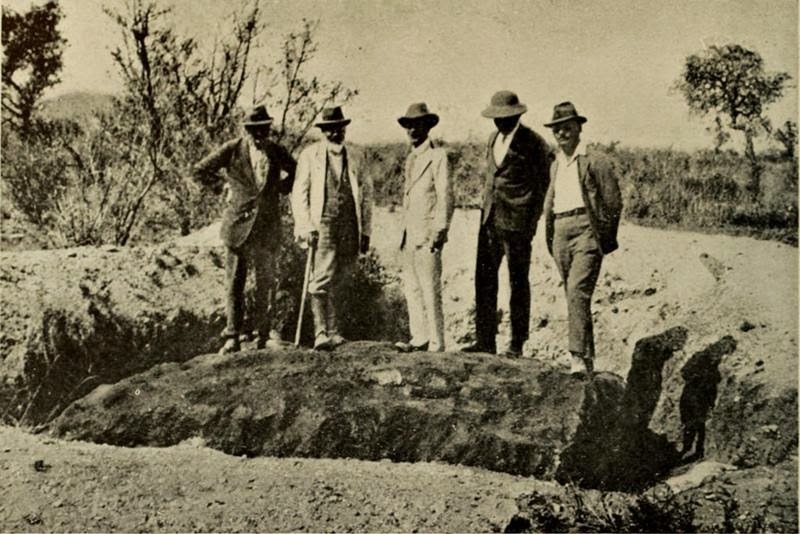 The Hoba meteorite was discovered in 1920 by the land owner, Jacobus Hermanus Brits, encountered the object while ploughing one of his fields with an ox. During this task, he heard a loud metallic scratching sound and the plough came to an abrupt halt. 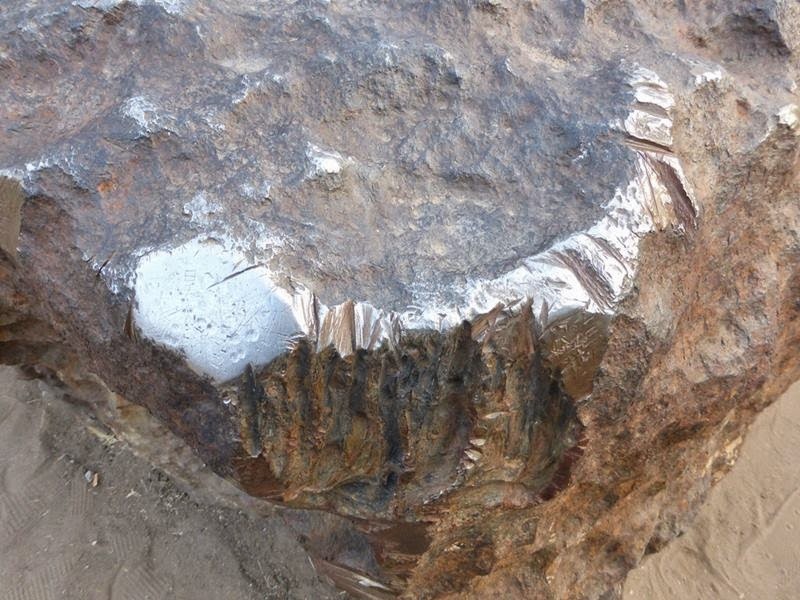 The obstruction was excavated, identified as a meteorite. 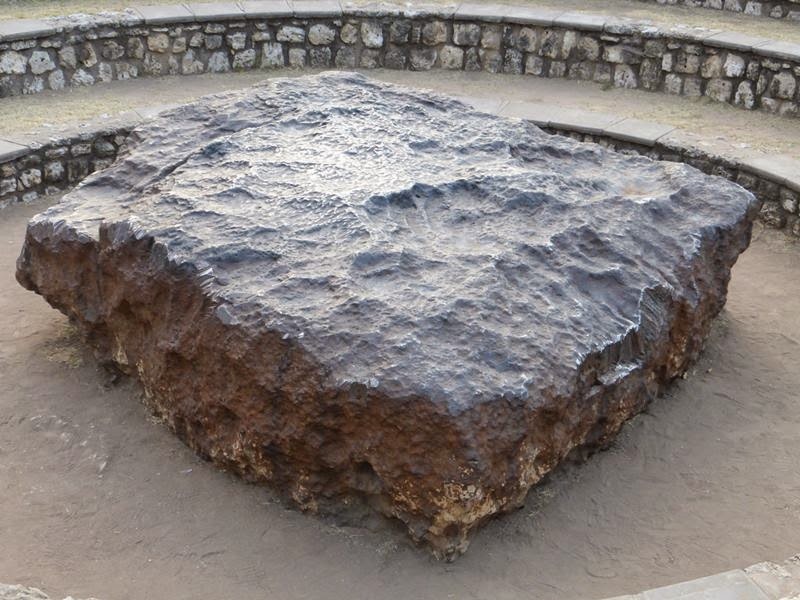 In 1954 the curator of the American Museum of Natural History in New York tried to purchase the Hoba Meteorite. 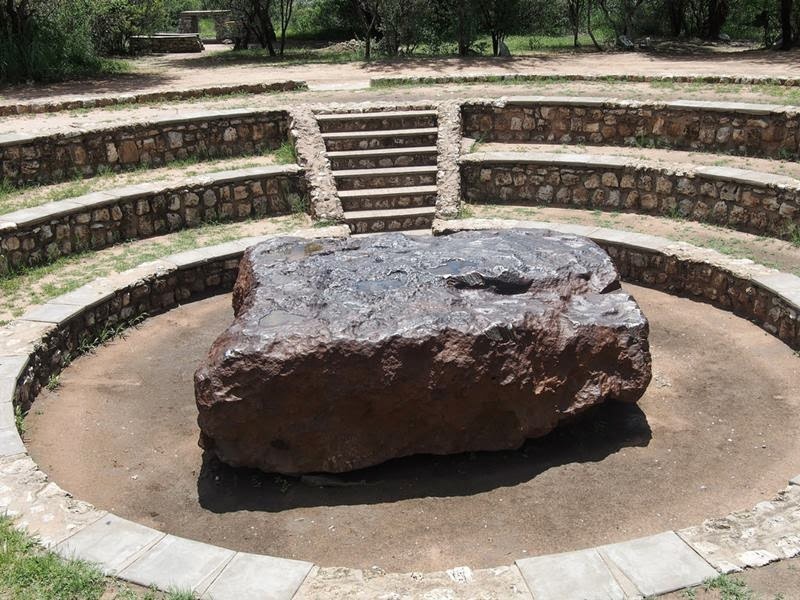 It was only owing to transportation problems owing to its weight that the meteorite remained in Namibia. Immediately following this matter a group of concerned locals brought the 'near calamity' to light and the following year it was proclaimed a National Monument. 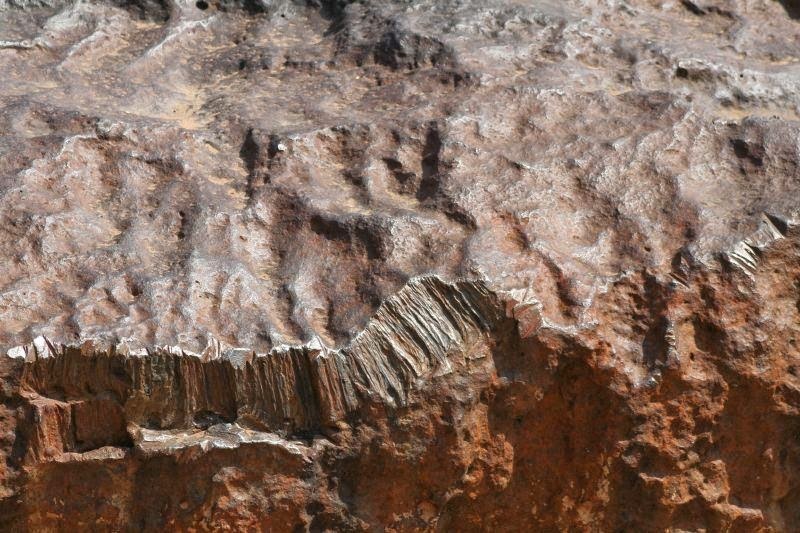 It is surprising that this meteorite is not surrounded by a crater. Objects of this size should punch through the atmosphere at a very high rate of speed and hit Earth with enough force to blast a significant crater, but no crater is present around the site of the meteorite. This suggests that it fell to earth at a lower rate of speed than expected. Some scientists believe that the flat shape of the object may be responsible for its low velocity at impact. 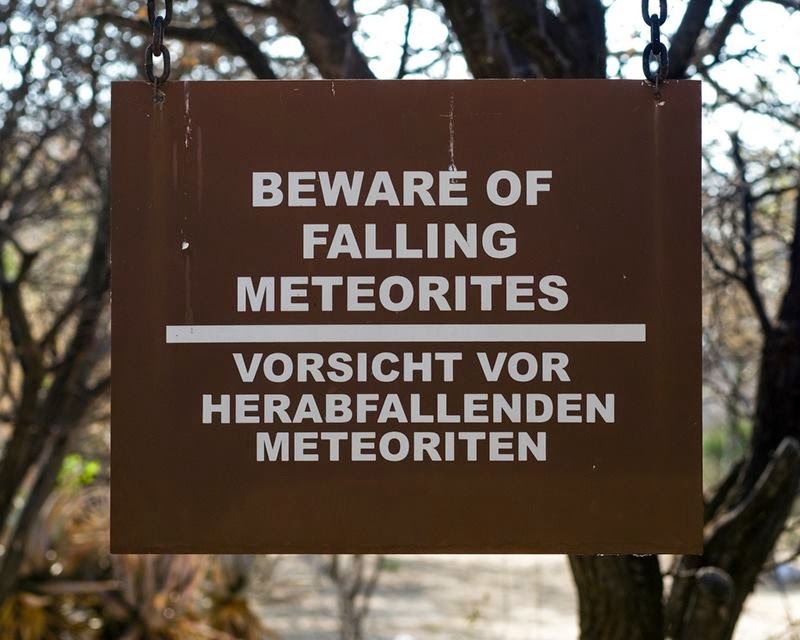 The meteorite is estimated to be between 190 and 410 million years old. 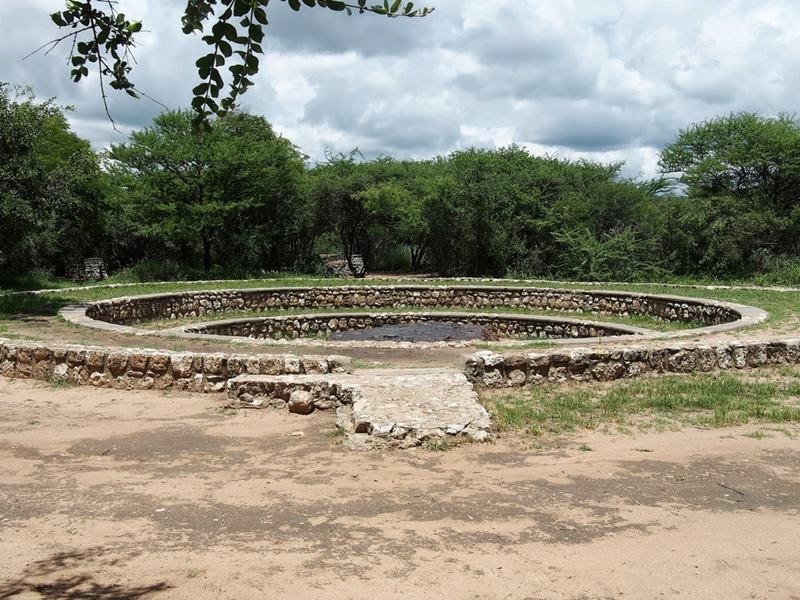 The site was declared a National Monument in 1955, though you couldn't visit it until 1985. The site has now been improved very well, a good opportunity to get close up, that anyone can touch it even anyone can stand upon. A small tourist center and is visited by thousands of people each year.